Huawei outperformed that market and its peers in 2012. The company said sales revenue for 2012 is expected to exceed US$35 billion, with a net profit of about US$2.4 billion, a more than 10% increase year on year for both. In a New Year's letter to customers, shareholders, employees and partners, Guo Ping, Huawei Rotating and Acting CEO, writes that this solid financial showing came despite the turbulent events of the year: the downward spiral in the global economy, an investigation into cyber security allegations by a particular committee of the U.S. Congress, political upheavals in the Middle East and Northern Africa, as well as natural disasters including floods and earthquakes. In 2012, the Carrier Network BG further consolidated its position in the industry. 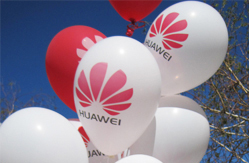 Huawei has now deployed over 130 LTE and over 70 EPC commercial networks worldwide. Huawei's Enterprise BG has launched a series of competitive products such as data center switches, storage products, and full-view telepresence systems. Huawei Device has established solid foundations in product design, quality, and costs. In addition, the smartphone business has made breakthroughs in scale in high-end markets such as Japan, the US, and Europe. In 2013, Huawei will focus on establishing leading positions in Mobile Broadband (MBB), Fixed Broadband (FBB), and backbone network solutions. Huawei will look to simplify its internal management and delegate more authority to field offices. In 2013, Huawei further vows to become more open and transparent. 2500–2570 and 2620–2690 MHz (the 2.5 GHz band). For the 700 MHz band category, ACMA is auctioning nine generic lots, each consisting of 10 MHz in paired configuration (2×5 MHz), with a block of 5 MHz in the upper and lower parts of the band separated by 55 MHz, which includes a 10 MHz mid-band gap (748–758 MHz). The mid-band gap is not available in the auction. The 700 MHz lots are intended for a single ‘national’ product with coverage across all of Australia, excluding the Mid-west Radio Quiet Zone (RQZ). one remote area—Remote Australia, which covers the rest of Australia, but excludes the Mid-west RQZ. Supplemental specifications for a higher-rate, SuperSpeed USB 3.0 will double throughput performance of USB 3.0 to 10 Gbps. The higher rate will be achieved using improved data encoding. This will ensure compatibility with existing cables and connectors. Work on the 10 Gbps SuperSpeed USB update is targeted for industry review during Q1. “With USB technology continuing to be the data and power delivery path of choice across personal computing and consumer electronics, we are always looking ahead to how to best improve user experience and connectivity performance,” said Brad Saunders, USB 3.0 Promoter Group Chairman. 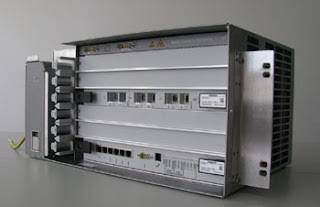 SK Telecom, the largest mobile operator in Korea, is upgrading its optical transmission backbone to 100G using DWDM equipment from Nokia Siemens Networks. NSN is providing its hiT 7300 DWDM platform, enabling SK Telecom to scale the network to simultaneously transmit up to 80 wavelengths of light, each carrying data at 100G on a single optical fiber, giving a total capacity of up to 8 Tbps per fiber. “With increasing smartphone adoption in Korea, there is a surging demand for higher capacity networks. Operators such as SK Telecom need to expand their network capacity multifold, and they need to do so cost efficiently by optimizing the use of existing fiber,” said Tapani Sairanen, head of Asia and Middle East cluster, customer sales support, Optical Networks, Nokia Siemens Networks. Google TV is getting a boost with a new Voice Search capability as well as new content partnerships including Amazon, France24, Dramafever. Voice Search provides access to both live TV and streaming options for a wide range of content. In addition to the content partners, Google TV is expanding its own library of title inside of Google Play and YouTube. The company said it now has hundreds of TV-optimized apps and thousands of supported mobile apps available on Google TV. Google now has nine equipment partners with Google TV capable set-top boxes or Smart TVs, including Asus, Hisense, LG, Sony, TCL, Vizio and others. iMAT (Isolated Mode Antenna Technology) is a single antenna structure that acts like multiple antennas through the use of multiple feedpoints. Each feedpoint accesses the single antenna as if it were two or more independent antennas, which are highly isolated from each other. This enables a multi-band, multi-protocol antenna module. VersiTune delivers an advanced tunable antenna solution for multi-band 4G LTE devices in a single iMAT antenna structure. This enables active tuning from frequency band to frequency band so that many bands can be satisfied by a single structure. SkyCross said it now offers broader performance across 12 or more operating frequency bands, with optimized MIMO performance for 4G LTE in smart phones, tablets and USB modems in one-quarter the size of conventional antennas. “Addressing antenna capabilities is critical for device designers and manufacturers to meet conflicting consumer demands of improved performance, similar or lower cost devices, and ever-shrinking form factors,” said Ben Naskar CEO and chairman of SkyCross. “To date, customers have been hesitant to integrate actively tuned antennas due to questions about market need versus performance and cost. With LTE and carrier aggregation coming upon us, the time has come to move to actively tuned solutions." Qualcomm Atheros is demonstrating "StreamBoost" technology for Wi-Fi routers and gateways that manages bandwidth of a home broadband connection on an application basis. The company's VIVE 802.11ac silicon provides up to 1.3 Gbps PHY rate of Wi-Fi capacity. The new "StreamBoost" technology automatically manages and shapes traffic, giving each connected device and application the priority and bandwidth required for optimal performance. Qualcomm StreamBoost also incorporates an opt-in, cloud-based service that continually increases the intelligence of the router, allowing new applications and devices to be identified and optimally managed as they are added to a network. At this week's CES, Alienware and D-Link Systems, Inc. will be demonstrating StreamBoost routers based on Qualcomm VIVE™ 802.11ac technology for Gigabit-class Wi-Fi at International Commercial availability is expected this spring. "StreamBoost provides users with advanced control over their home networks to enable the first truly smart, connected homes," said Frank Azor, general manager, Alienware. "This technology will provide gamers with a more reliable and better performing online gaming experience, whether there are two, 12 or 20 devices using the network simultaneously."